Firmware Update is a free, monthly newsletter by embedded systems expert Michael Barr. Firmware Update is a trademark and this issue is Copyright © 2018. You may forward whole issues to colleagues that design embedded systems. No other uses are permitted. The C (and C++) programming language's volatile keyword is a qualifier that can be applied to a variable when it is declared. The inclusion of this keyword informs the compiler that the value of the variable may change at any time--including asynchronously with respect to nearby lines of code. 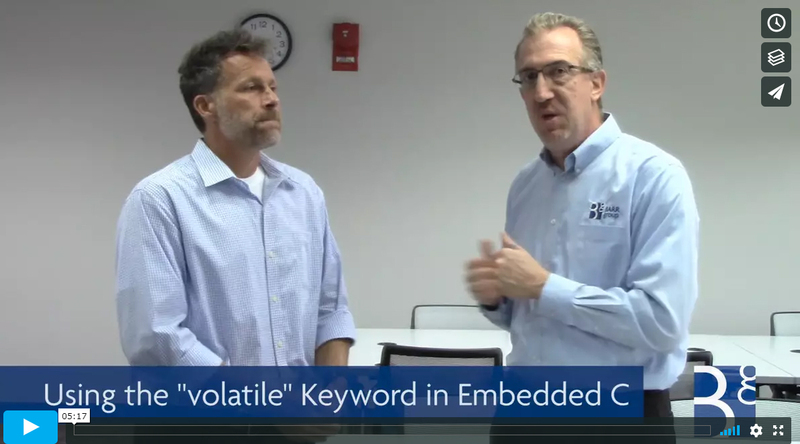 In this month's brief Tech Talk video, Andrew Girson talks with embedded systems expert Dan Smith about why this is necessary functionality and about best practices for the proper use of this important corner of the C (and also C++) language. Click here or on the above image to watch the video. Your participation will require just a few minutes of your time. As an incentive and thank you, we will give away two Fluke 117 Digital Multimeters and three $25 Amazon gift cards in a drawing you can opt-into if you choose. Designers of a wide range of embedded systems are choosing Android as operating system. But why? If you think Android is just for mobile phones, think again. It turns out there are a number of compelling reasons to consider making Android the core of your product, including the ease with which you can develop a rich and intuitive user interface. Should your project run on Android? 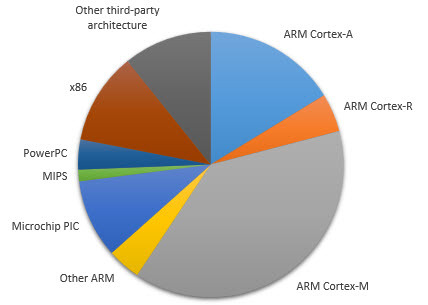 Read "Five Reasons Android is Used in Embedded Systems"
Note that Barr Group offers consulting and on-site training to teams in all stages of Android adoption. Consult the training calendar for prices and locations for those and other upcoming public courses. Alternatively, consider bringing an instructor right to your office for an on-site training for your team, based on any subject from the full course catalog. I'm always interested in hearing from embedded systems designers and happy to take a few minutes to help you find the resources to get a design done right. Send me an email anytime. And be sure to also connect with me on Twitter (@embeddedbarr) and LinkedIn (https://linkedin.com/in/embeddedbarr).